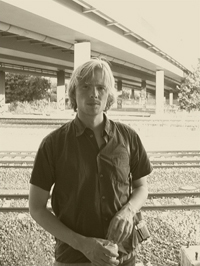 Thor Magnusson is an Icelandic musician/writer/programmer working in the fields of music and generative art of all kinds. He recently completed his PhD at the University of Sussex where his research is focused on the semiotics of computer music interfaces, human-machine interfaces and the sociology of programming computer music. He teaches courses on computer music and algorithmic and interactive systems in the University of Sussex Music Informatics course and the Sonic Arts course of Middlesex University. Thor is mainly interested in improvisation, live performances, installations and audio software production. He is a co-founder and member of the ixi audio collective and with ixi he has written various musical software and given workshops and talks in institutions all over Europe on the design and creation of digital musical instruments and sound installations.